Just recently I had the pleasure of meeting Erik Proulx, the creator of Lemonade on a Google Hang-out. Lemonade was a 35 minute documentary that came out three years ago. With its theme “is it a pink slip or a blank page?” the film featured creatives who had lost their jobs and gone on to far greater things. I loved the movie and thrived on its message. It was just what my late father, an entrepreneur himself, always taught me: “When life gives you lemons, honey, make lemonade.” Now Erik is shooting a new documentary called Lemonade Detroit and I am celebrating three years as a marketing entrepreneur. In reflecting on the past three years, things have changed quite a bit. Now we have iPads and Pinterest and I get to “meet” cool people like Erik in a Google hang-out. My once indispensable Blackberry has been replaced with an iPhone. And, I find the general public doesn’t find my fondness for twitter quite so odd anymore. It’s been a journey. This is my lemonade story. Three years ago my former co-worker Tim Story and I sat at Panera Bread sipping coffee and planning our futures. Both of us had recently been laid off from an interactive agency that was hit hard by the recession. I did not even own my own laptop yet and Tim was using a borrowed one. Tim knew I was an entrepreneur at heart who wanted to start my own marketing and public relations firm, so he volunteered to register my domain name. In betweeen sips, he looked up from his machine and asked for the name of my new company. I said without hesitating, “MarketingMel.” I had already established the name on twitter and when you googled “MarketingMel” it soared to the top of the page, far ahead of a well known actor whose first name I share. Who could argue with that? A company was born. Tim has gone onto success in his new career and he has helped me as a freelancer with SEO work for some of my clients. For three years I’ve had the privilege of working with fantastic business professionals, guiding them with their communications and awareness efforts including marketing, public relations and social media strategies. Together with my “virtual ad agency team” we’ve collaborated to create award winning web sites, logos,videos and more. When I tell people I’ve been in business three years they generally congratulate me and comment that many entrepreneurs don’t make it past the first year. Shortly after that groundbreaking cup of coffee I attended two workshops at the Tennessee Small Business Development Center at ETSU including one on writing a business plan. For those of you who may be thinking of starting your own business, here are some pitfalls to avoid and tips on starting a small business. Chief among those, writing and then working your business plan. I would add to that be sure to have an annual strategic planning session for your company (even if you’re a solo) and refer back to it often throughout the year. And as for your business’ name, well, I recommend something with staying power. I am MarketingMel and I’ve been in business three years. Let’s have some lemonade to celebrate! Congratulations on 3 years in business! I love your story of how you got started. Look at you now! To sum it up … Good Work! Thanks so much Jeff. You were there at the start too, cheering me on. I appreciate you very much. I can’t imagine a higher honor. Thank for for you kind words MaryEllen! And congratulations on year 3! Thanks so much Erik. Your work was a game changer for many no doubt. Congratulations! You deserve it and here’s to many more successful years as MarketingMel! Thanks for all of your help on the MarketingMel team for the last year Sarah! Congratulations on this important anniversary, and here’s to many more great years of service to your clients. You are an inspiration! Thanks Nic! So glad that Erik’s film spoke to you as well. It is truly moving and inspirational. Nice article and great perspective; we often get what we see! How right you are Rebecca. What we plan and visualize as you well know as a strategic planner, is so important! Kudos kiddo! I’ll never forget you telling me you were thinking about doing this and me telling you, “MaryEllen, if anyone can make it work, you can. In fact, I can see you doing this kind of work.” What a long and wonderful road the Lord has you on. Blessings! Thanks Shelly. I have been blessed. Congratulatons! Looking forward to seeing what all you accomplish in the many more years to come! Thanks so much Tiffany! I so appreciate your well wishes. Great inspiration. 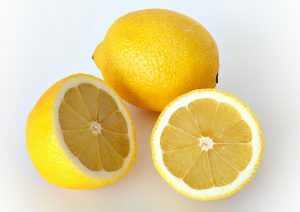 Looks like you have made lemonade rather than go around with a sour face. Congratulations!!! Thanks so much Bill. I really appreciate it.